Our most popular Party package is the Pizza Party. It is $120.00 for up to 10 children. 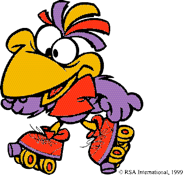 The price includes admission, skate rental, & a free drink for each child. You will also receive a free pitcher of drink for refills. Also included are 2 large Dominos Pizzas. The pizzas are cut into 8 slices. You may choose Cheese or Pepperoni only. Extra Pizzas are $10.00 each. A prize will be given to the Birthday child and a table will be reserved for your group. Each table will generally accommodate up to 10 children. You may bring in Cake & Ice Cream for your party. We do not allow any other food or drink to be brought in. We charge $10.00 for each additional child. 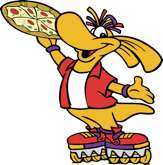 All guests with your party must skate to come in the building except for Parents or Grandparents. There is no charge for Parents or Grandparents that are just coming in to watch. You must have skates on to be on the skating surface. For groups larger than 10, we suggest booking two tables. Booking 2 tables accommodates up to 20 children for a minimum cost of $240.00. Reservations must be made in order to receive the birthday party package or bring cake or ice cream into the building. Birthday celebrations such as cake, ice cream, and presents are only permitted with a party package. Please submit form below or call 336-765-1041 for Public Party reservations. No advance deposit is required. Payment due upon arrival. You will get 2 Free Dominos Pizza’s for each table you reserve. Extra pizza is $10.00 per pie. Some sessions may have been omitted because they were FULL or not available. NO ADVANCE DEPOSIT REQUIRED. BOOK YOUR PARTY NOW. JUST FILL IN INFORMATION BELOW.